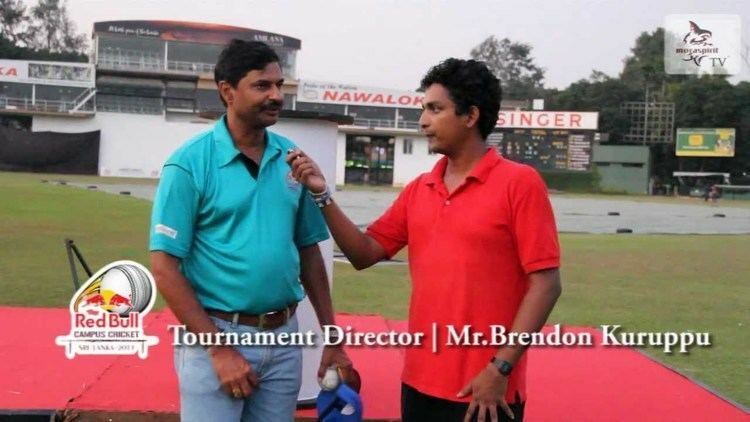 Don Sardha Brendon Priyantha Kuruppu (born 5 January 1962) is a former Sri Lankan wicket-keeper and opening batsman. He was often played in ODIs, as he played 54 from 1983 to 1990, but his Test career was largely unremarkable but for one productive innings in Colombo that he scored 201 to be the first Test century as well as double century scored on debut for Sri Lanka. He is still the only test player for Sri Lanka to score a doble ton on debut for Sri Lanka. His 201* is still the highest test score made by a debutant for Sri Lanka in test history. Kuruppu is the current coach of the Maldives national cricket team. Kuruppu was born in Colombo in January 1962, and played club cricket for Bloomfield Cricket and Athletic and Burgher Recreation Clubs. His international career started at the 1983 World Cup in England, where he hit two sixes and seven fours in what was to be a career-best 72 against Pakistan. Sri Lanka lost by 50 runs, and his next three matches were disappointing, as the team lost all three and he failed to pass 30. However, at Derby against New Zealand he found form again with 62, anchoring a chase towards 182 as Sri Lanka won by three wickets – their only win in the tournament. Kuruppu was in and out of the ODI team following the successful World Cup, but didn't play as a regular wicket-keeper until 1986, when he got his chance in the Asia Cup tournament against Pakistan and Bangladesh, which Sri Lanka won. He made a string of low scores, but neverhteless made an impression. The next winter, Kuruppu got his Test debut against New Zealand at Colombo Cricket Club Ground, he was called up in place of Guy de Alwis, whose continued failings with the bat had given the selectors some thought. In a match frequently interrupted by rain, and against such accomplished bowlers as Richard Hadlee and Ewen Chatfield, Kuruppu made his maiden first-class century on the second day. Sidath Wettimuny held the Sri Lankan record for the highest Test individual innings, after scoring 190 against England in 1984, Kuruppu, however, passed that score by 11 runs, making 201 not out in 777 minutes to become the first Sri Lankan to hit a double Test century. Six men have later repeated his feat. The two teams agreed to cancel the rest of the series owing to security fears, following a bomb blast near the New Zealand team's hotel. However, the double century cemented his place in the selectors' minds, and by the end of the three-team World Series tournament in January 1988, he was a regular fixture in the ODI side. 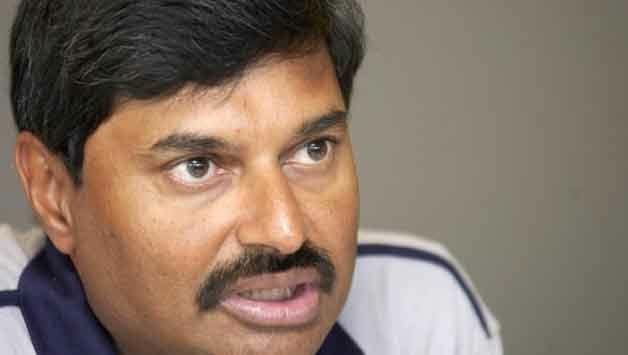 However, he failed to back that up with the bat, and after a disastrous Nehru Cup in October 1989, where he strung together 36 runs in five innings and Sri Lanka finished last out of the sixth teams, Kuruppu was shuffled out of the team and Hashan Tillakaratne took his place behind the stumps. He was given one last chance as opener in 1991 when Sri Lanka travelled to England for a Test, but Sri Lanka lost by 137 runs and Kuruppu only made scores of 5 and 21. That was his last international game, but Kuruppu went on to work within Sri Lankan cricket, and he was made interim team manager for the tours of Pakistan and New Zealand in the late months of 2004. Kuruppu has played the fewest Tests of any double centurion (4 tests).Brendon Kuruppu also has the world record for scoring the slowest ever test match double century in terms of balls (548) and in terms of minutes (777) and he did it on his precious test debut which is still considered as the bravest achievement in the history of test cricket.He's also the only test batsman to have spent over 700 minutes (12 hours & 57 minutes) to score his test double hundred. When he scored double ton on his test debut in 1987,he became the first player in test history to score a century as well as a double century as a wicketkeeper batsman on test debut. He also became the third player in test history to score a double hundred on test debut after R. E. Foster and Lawrence Rowe.He too holds the record for the longest test innings as a test debutant(777 minutes). Kuruppu has the national record for the longest ODI innings for Sri Lanka without hitting any boundary or a six(58*) against Bangladesh.